Аuthor of a number of development and winner's certificates. 22/04/87 - Member of the Constituent Congress of the Union of Designers of the USSR. Участник учредительного съезда Союза дизайнеров СССР. 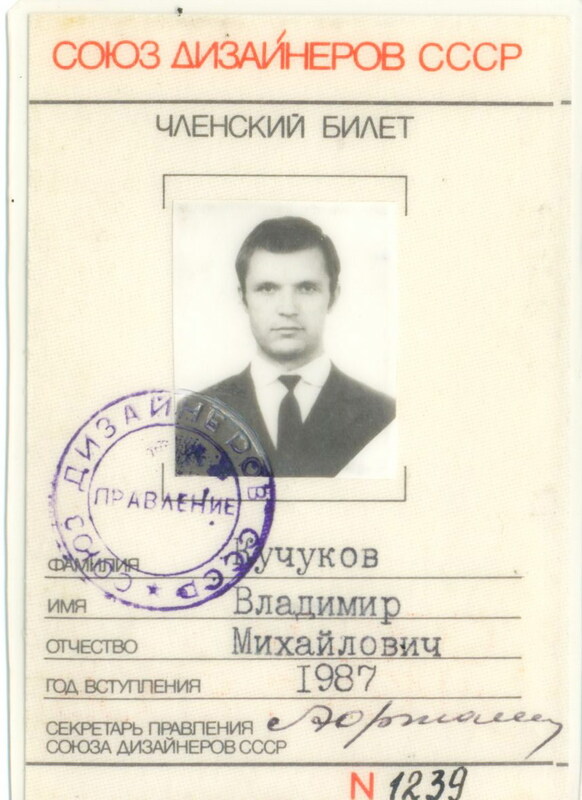 28.11.87-Member of the Union of Designer's of the Ukrainian SSR. Участник Учредительного съезда Союза дизайнеров Украины. 1991-year ordeal, befallen our country. Perhaps more than ever, we need dignity and optimism, patience and faith in the future. And perhaps, the very fate sent us in this time of trial "Year of Mozart," which we hope will fix the tradition continued participation of outstanding masters of arts, culture and science in the spiritual revival of our city. Days of Mozart in Kharkov is an opportunity to give the listener the wonderful works of our outstanding compatriots younger contemporaries-a.Motsart B., D. Bortniansky, Berezovsky, Vedel, for the motto of the Festival: "Mozart and the Ukrainian classical music." 1972-1984 Отдел товаров народного потребления Всесоюзного Производственного Объединения "УКрпластик".Заведующий отделом. Автор ряда разработок и обладатель авторских свидетельств. 1972-1984 Department of Consumer Goods Production Association "UKRPLASTIC." Department head. WORD WIDE BOOK-2012/WWB INC/ published two pictures.